Had a very light week. 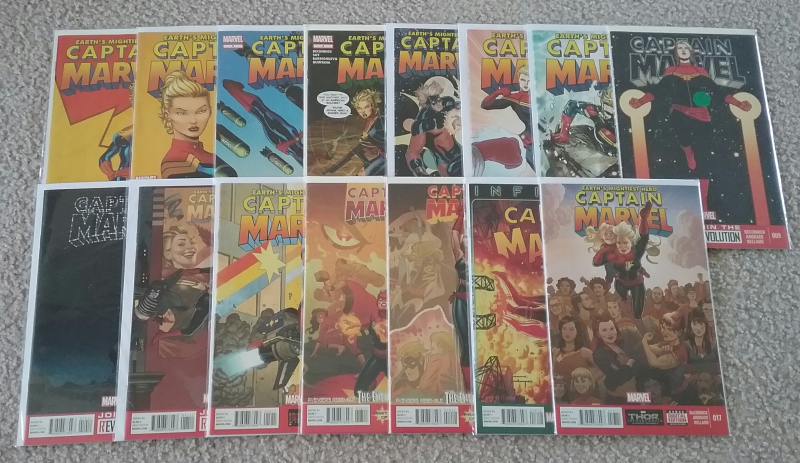 I didn't get paid until the end of the week, so the comics I ordered online were fairly sparse. However, halfway though writing this I realized I didn't post anything I got last week! Oops! I've had my eye on this comic for a while. It's not anything that's expensive, but I think the cover is pretty striking. 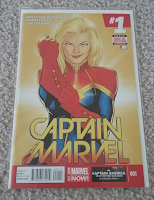 I don't have any experience with the Carol Danvers Captain Marvel stuff, so I basically just bought this because I'm a fan of the character Carol Danvers. I'm pretty excited that there's going to be a movie in the future, especially after seeing Wonder Woman. Twice. 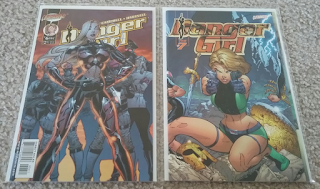 ...I also bought almost the entire run of the previous series in one shot at my local shop Campus Comics. I already had the fourth issue on my wall in a frame, so I only need one issue to complete the set. 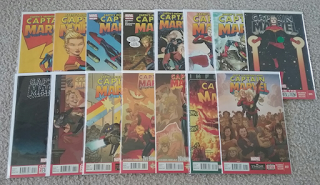 Unbeknownst to me when I decided to buy all of these, issue #14 is the first appearance of the current Ms. Marvel Kamala Khan. 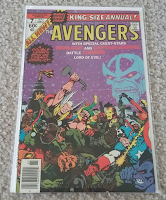 This issue alone ran me quite a bit ($60, I think it was) so fortunately I had a decent amount of credit at the shop to take the brunt of the cost. The whole run here ended up costing me $40 after I exhausted all my credit. 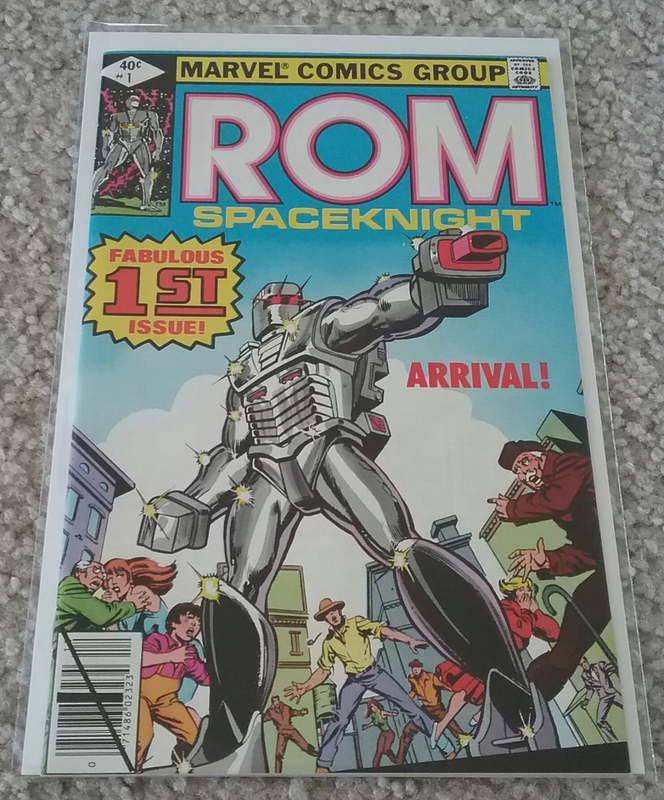 For some reason, I've always had an interest in Rom: Space Knight. Much like my aforementioned vague interest in the Nth Man, Rom is one of those weird characters that I have a history with for some reason. As a kid I had a few Rom comics, and later I remember seeing a Rom toy in Toyfare Magazine once that really captured my interest. I can't really explain why I latched on to this character, because even to this day I know nothing about him. 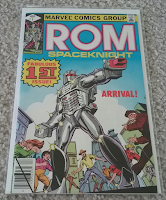 This is the first appearance of Rom, from what I gather. I keep seeing it at conventions for exorbitant prices, so I went ahead and ordered this copy online for around $12. Is it as fabulous as the cover declares? Unlikely. But the kid me would have been elated to have this. 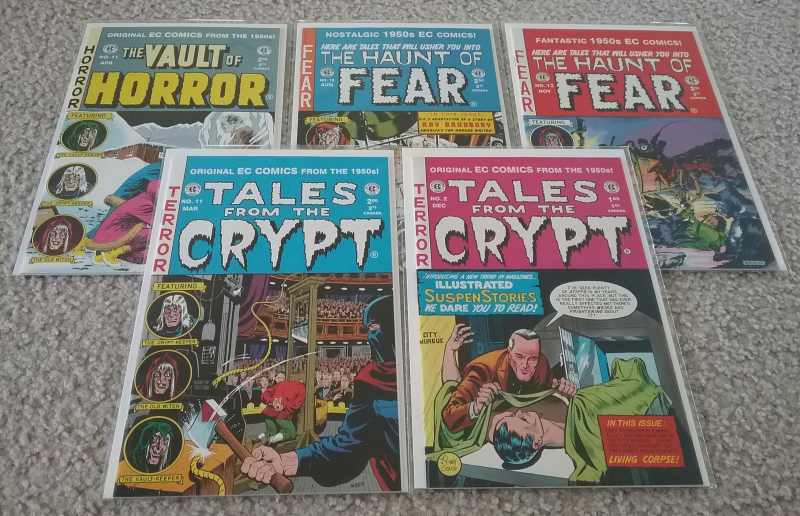 As I have gone on about before, Tales from the Crypt, Vault of Horror, and Haunt of Fear comics are my jam. I'm still trying to get all of these, and the ones I have left to get are either unavailable at this time on My Comic Shop or cost a little more than I'm looking to spend at the moment. I basically bought these to thin out my wishlist and fill in gaps in my collection. I do love these things. I think I mention that every time I buy some. I bought this comic because I'm a sucker for anything Power Girl, and this one has her right on the cover. Granted she looks defeated and covered in rubble, but still! I've actually acquired quite a bit of DC stuff lately, which is not like me. Usually I'm 100% Marvel with a little indie nostalgia, but over the past few weeks I have bought a decent amount of DC stuff. I guess I don't really have much to say about this one. Power Girl, though! This was the real money book this week. This is Avengers Annual #7, and it's the first appearance of the Space Gem, the Mind Gem, and the Reality Gem, and it's the first time all six Infinity Stones were in one story. 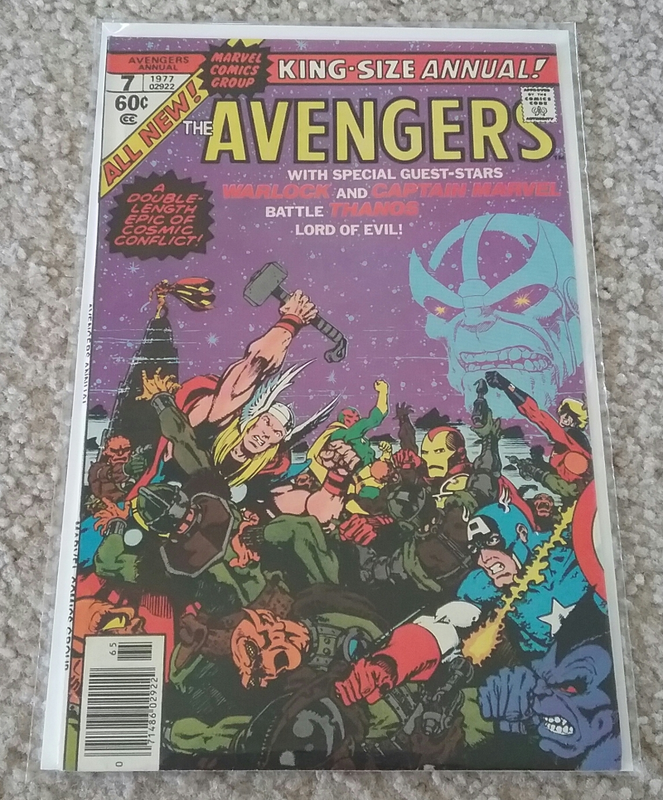 This is also the penultimate appearance of Thanos for literally 13 years. That's a long time to go with no stories about the mad titan! 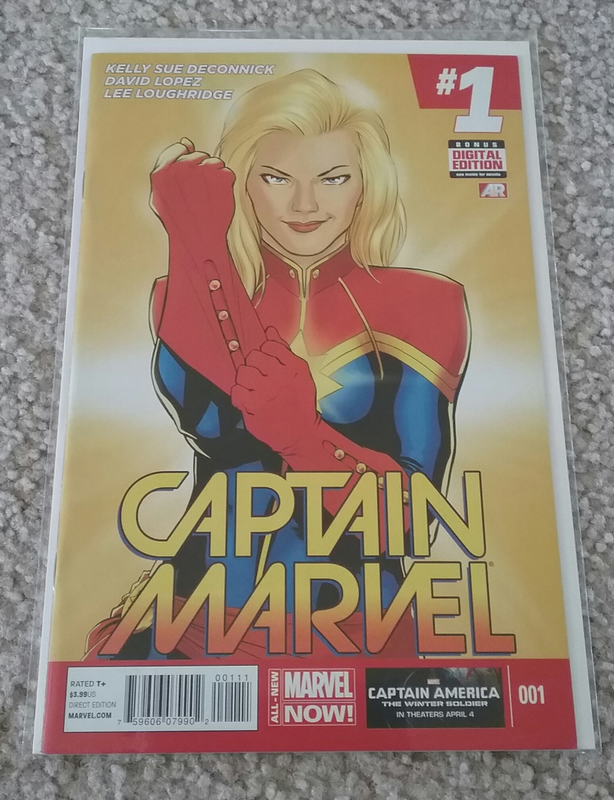 There's a second part to the story in this comic that appears in Marvel Two-in-One Annual #2. It's on my wishlist for sure, but the condition it's available in at the moment is a bit lacking. One day I'll pick it up, just not right now. 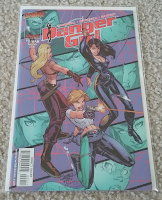 When I went to Crash Comics after attending the Superman Celebration I found a few Danger Girl comics. I ordered the missing issues on My Comic Shop and in my haste I forgot to order issue #1! Actually, now that I think about it, I didn't mention that week's comic haul at all. Well, I guess this is a two-in-one haul! Here we go. 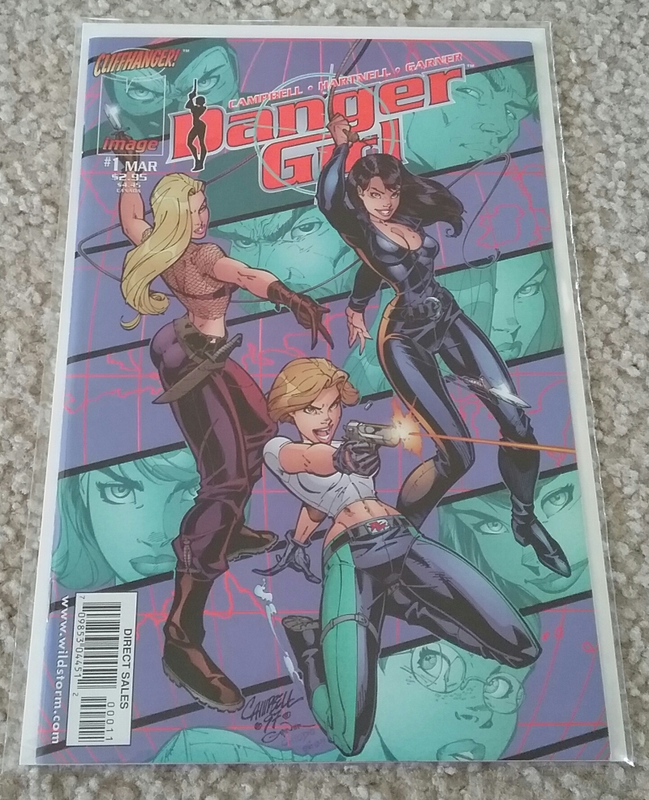 I picked up Danger Girl #6 and #7, which were two I wasn't able to pick up when I got the others. 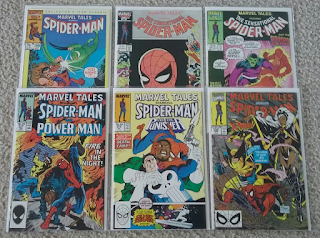 With those (and the #1 I picked up this week) I now have the full run. This is one of those books that was always talked about and featured in Wizard Magazine. I have never read any of them, but it seems interesting enough. I assembled the entire run fairly cheap, which is always a plus! 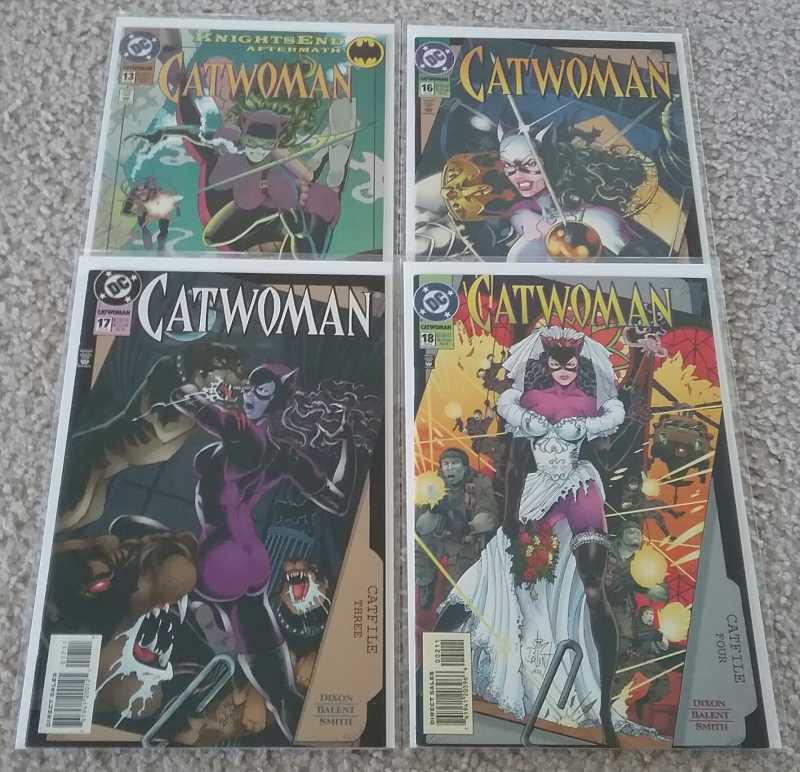 I also ordered Catwoman #13, #16, #17, and #18, which again were comics I wasn't able to pick up at Crash Comics. I thought #17 was a good stopping point for me because these are the last issues I needed to complete a storyline I had one issue of. Gotta have them all! 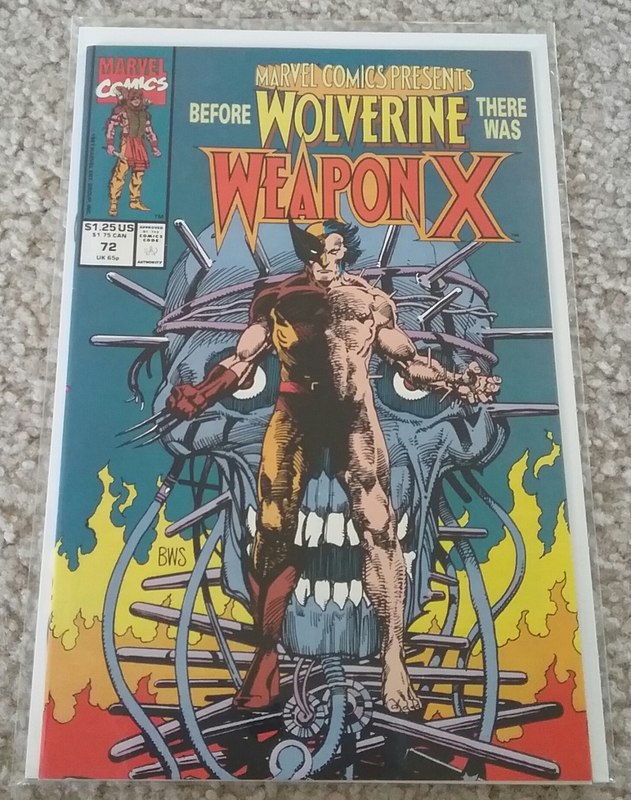 Originally I was going to get all the Jim Balent issues, but that would put me at buying 70+ issues. That's a little more than I want to invest in, I'm afraid. After meeting Amanda Conner at the Superman Celebration, I ended up finding this Vampirella comic when I was sorting books at Campus Comics. As I mentioned before, I'm a fan of Amanda Conner's art and writing, and I'm also a fan of Vampirella. Young teen me was definitely a fan of Vampirella, but yeah. I had to have this. 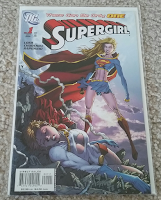 Even still, had I owned this when I went to the Superman Celebration I wouldn't have had her sign it. 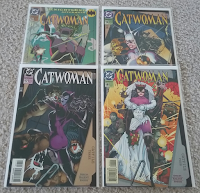 I made up my mind before going that two books was enough to get signed, and Harley Quinn and Power Girl are more important to me than T&A nostalgia. 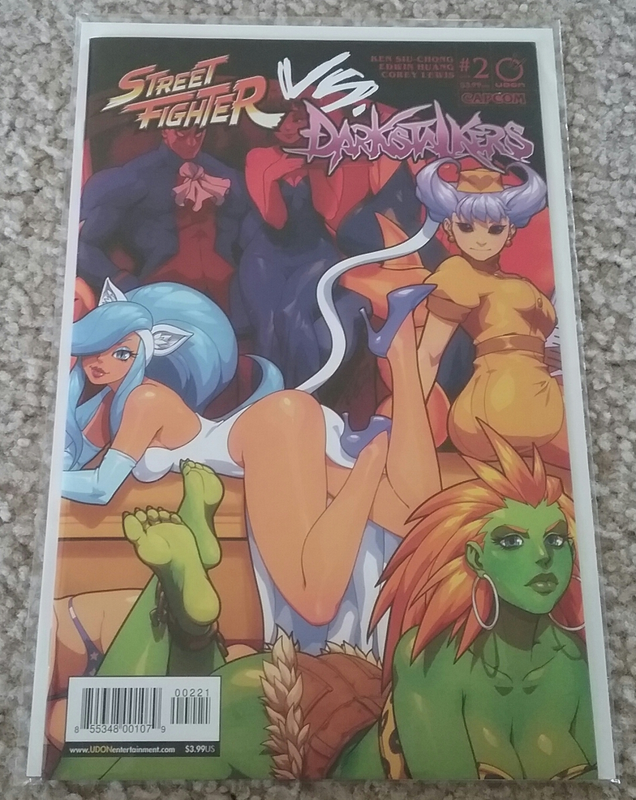 Ordered another issue of the Rob Porter [Twitter | Deviantart] cover Street Fighter vs Darkstalkers comics as well. Two down, two to go! I actually just got an e-mail notification earlier from My Comic Shop that the third issue has been released, so next time I order comics I'll get that one, too. 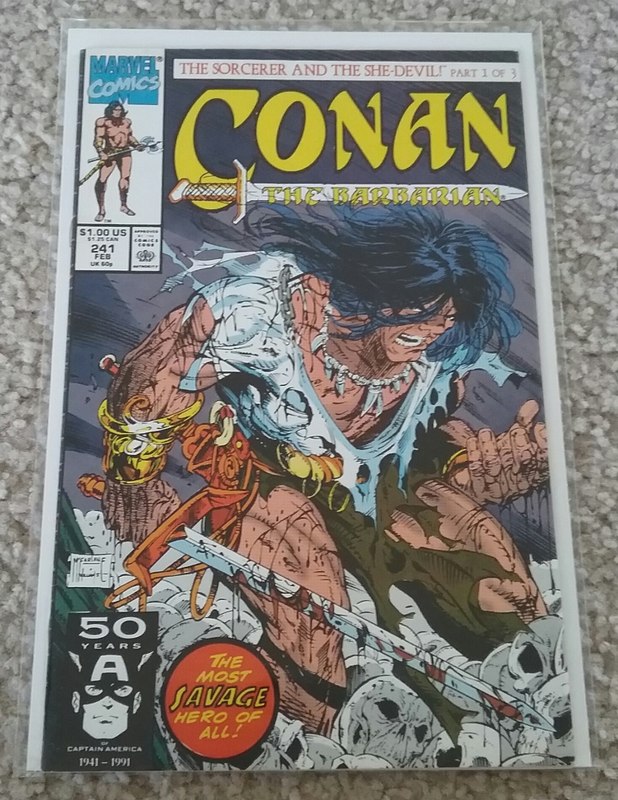 Conan, eh? Seems like an odd choice for me. 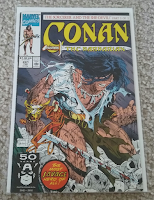 That is until you realize that Todd McFarlane did the cover, and that means it's on my wishlist! He just did the cover to this and not the internal art. If I was a kid and bought this I would have been disappointed to discover that. 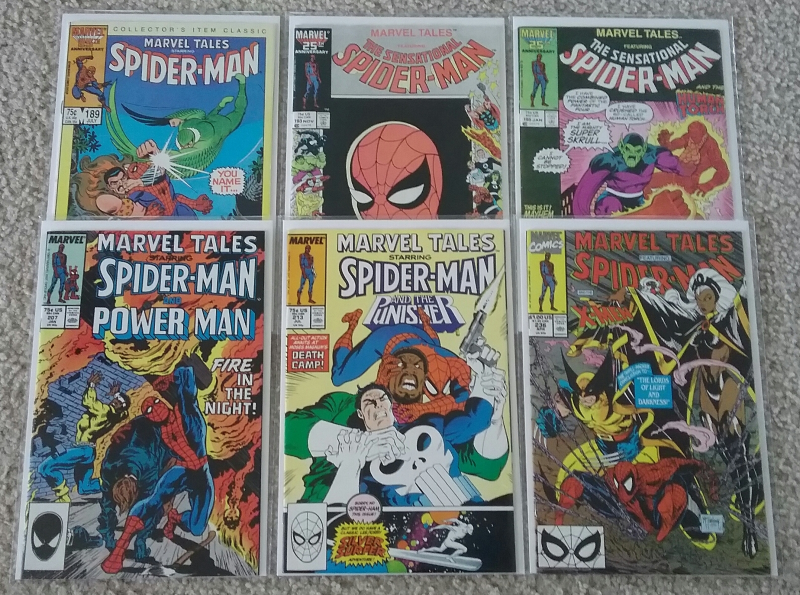 I have a pretty nice Todd McFarlane collection going at the moment. Always loved his art. I have a sizable collection of Marvel Tales comics. Well, I have a sizable collection of Spider-Man comics in general. 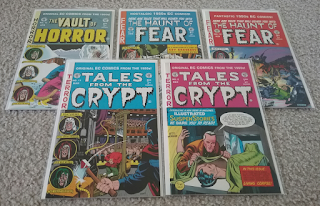 I bought these issues to fill in some gaps in my collection. It's odd; in all my visits to comic conventions and shops this summer, I very seldom find any Marvel Tales comics. If I do, they're always missing the same issues, too. I guess I'll just have to buy the rest of the ones I need online. 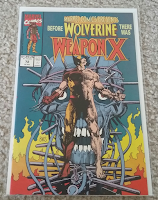 Marvel Comics Presents #72 is the first appearance of Weapon X. This is a key issue that's somehow not worth much at all. I thought it was important enough to own, though. I've bought comics that are less important than this for my collection. And that wraps up this week! Not sure if I'll have one next week or not since I haven't ordered anything and I don't have anything waiting on me at my local shop. Coming up on July 9th is the ToyMan Show in St. Louis, MO. I'm hoping to get the remaining Star Wars Power of the Force figures I need there. Plans are to visit some comic shops while in the area as well, so I'll definitely have an article after that!